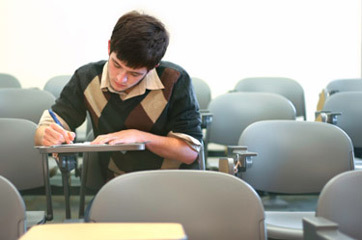 The Criterion-Referenced Competency Test, also known as the CRCT, is a standards-based assessment commonly administered in Georgia public schools. Read on to find out more about what you can expect for your 3rd grader from the CRCT exam. Schools in Georgia administer the CRCT tests to students in grades 1-8 near the end of the academic year. Your 3rd grader is tested in reading, language arts, math, social studies and science. The questions on the CRCT test are based on 3rd grade Georgia Performance Standards. Before your 3rd grader starts preparing for CRCT testing, you may want to review the standards and skills listed in the official Georgia Grade 3 Study Guide or on the Georgia Performance Standards website (www.georgiastandards.org). Help your child get ready by making sure that he's learning throughout the school year. Monitor his work and help him in any area where it's needed. Several websites feature 3rd grade CRCT practice tests from previous years, which your child can use to understand the format and content. When it comes time for your child to study, focus on each individual test section where he needs the most help. What Does the CRCT Test Contain? For the reading portion of the test, your child will need to read passages and answer multiple-choice questions that measure his comprehension. The language arts section deals with grammar, spelling and punctuation. The math portion of the test covers multiplication, division, geometry and logic-based problem solving. For science, your child will need to be familiar with earth science, physical science and biology. Finally, the social studies section covers geography, economics, U.S. government and history. Where Can I Find a Sample 3rd Grade CRCT Test? Georgia schools use the Online Assessment System to practice for the CRCT. Your child can log on at home to take official CRCT practice tests. If you don't have a school-assigned login, you can use Grade3 as your login and password. When you administer a practice test to your child, provide her with an environment similar to what the actual testing environment will be. Maintain a calm, uncluttered area and time her according to the actual time limits for each section.